BEAUTY TREATMENT FOR YOUR LAWN. Scarifying is an important part of the perfect lawn care. It helps to fight against the notorious thatch which is formed in every lawn and is blocking the supply of air, water and nutrients to the roots. Correct scarifying will let the lawn breathe again. The Cub Cadet scarifier XC1 will bring the right power to remove this thatch so that sunlight, air and water can reach again the soil and roots. Above that, the XC1 disposes of blades and springs. This allows for two functions in one machine: aerating and scarifying. The XC1 models have 15 or rather 17 flail double blades and 14 or rather 16 double springs. 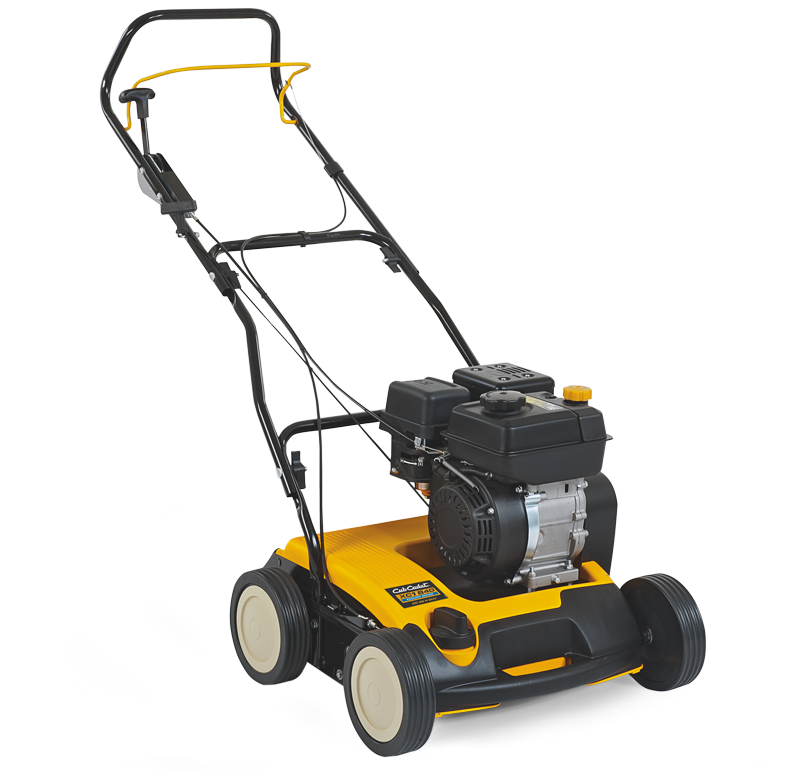 This combination allows for two functions in one machine – for aerating and scarifying. If you would like to aerate the soil of your garden, use the higher position with a gentle touch of the blades and springs on the surface of the soil. If there is the need to scarify, set the position of the blades and springs to a 3 mm working depth. Working depth adjustment The working depth of the Cub Cadet scarifier XC1 can easily be changed centrally. With the lever on the handle you can switch from transport to working position conveniently from behind the unit.